The event will take place in Paris, at the Institut de la Gestion Publique et du Développement Économique – IGPDE (Ministère de l’Économie et des Finances, 20 allée Georges Pompidou, 94306 Vincennes – map), starting at 9:00AM (registration since 8:30AM). A draft agenda of the event can be found here. On the next 15th of May, on the premises of University of Rome “La Sapienza”‘s DIS (in via Ariosto, 25), it will be hosted an event organised by ECSO (European Cyber Security Organisation) and dedicated to the world of Italian SMEs. Since the beginning, ECSO has recognised the strategic role played by SMEs within the cyber security ecosystem. Because of that it was decided to create a dedicated Working Group (WG4), which aims at proposing concrete actions, at the EU-level, that could help the development of SMEs. On the next 15th of May, also thanks to the support provided by MISE, a meeting of the WG4 (also open to representatives from Italian companies non-members of ECSO) will take place in Rome. to investigate possible synergies with local actors. ABC4EU aims to harmonize border control technology in accordance with the Smart Borders legislation (http://abc4eu.com/). The aim of the event is to expand the end user community of both projects, disseminate the results and validate and discuss the results. Cooperation between EU-funded projects is recommended by the European Commission. This joint event will provide you with a good overview on how the EU’s changing legislation correlates with the preliminary results of two different projects. The event is free of charge, and the participants’ lunch will be covered by the organisers. On the 23rd of February 2017, Dr. Fabio Ruini and Mr. Daniele Pinotti, on behalf of Zanasi & Partners, took part in Barreiro, Portugal at the final exercise of the SOTERIA project. SOTERIA (Proactive Enhancement of Human Performance in Border Control) is a three-year research effort funded by the European Commission under the FP7 programme. Its aim is innovate citizens’ and public safety organisations’ approach to communication during emergency situations, with a particular emphasis on incorporating all communications channels available, including social media, for the reciprocal benefit of all the parties involved. 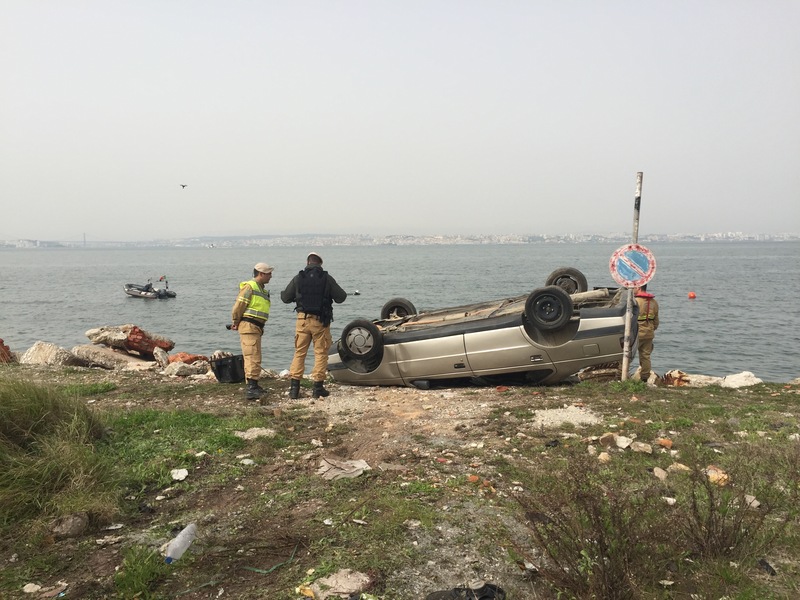 a car accident resulted with people fallen into a river. 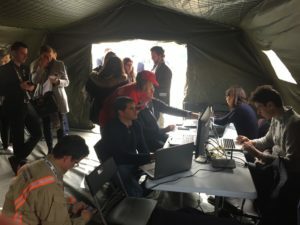 During the simulations, participants in the exercise were actively using social media platforms to communicate about the different emergencies unfolding. 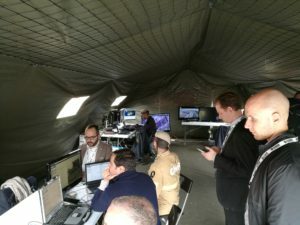 The SOTERIA team, from inside a military tent equipped for acting as control centre, tested the software tools developed during the project, capable of gathering social media posts, filter and analyse them, and then pass the relevant information to the organisations in charge of the emergency response. For more information, please visit the SOTERIA project website. 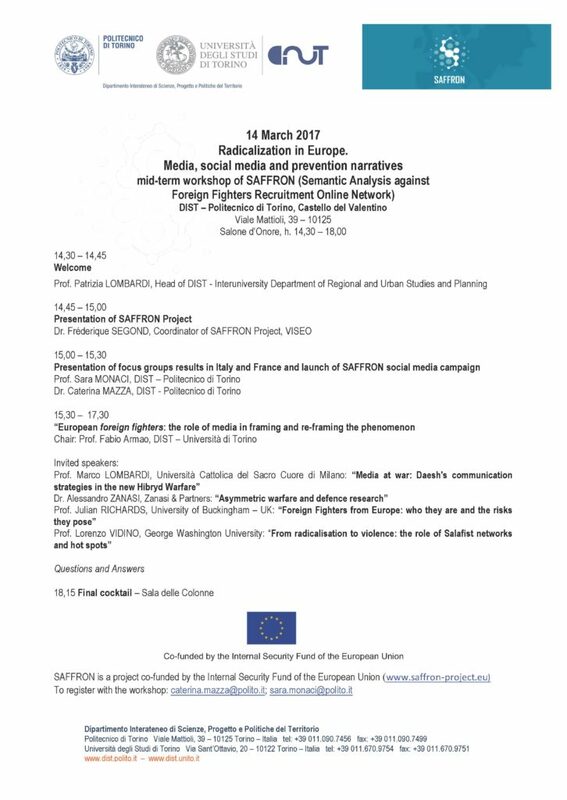 Modena (MO), January 16th 2017 – The European Commission has officially approved the funding of the security research project TRIVALENT, aimed at countering radicalisation and violent extremism. Threats to European security increasingly come from single individuals who reside in Member States’ territory, undertaking a path of radicalisation which ultimately leads to violent extremism. This is a very hot topic nowadays in the light of what happened only a few weeks ago at Berlin’s Christmas markets. The attacker, Anis Amri, was found to have radicalised during his previous time in Italian jail and to have turned from a petty criminal into a bloodthirsty assassin. 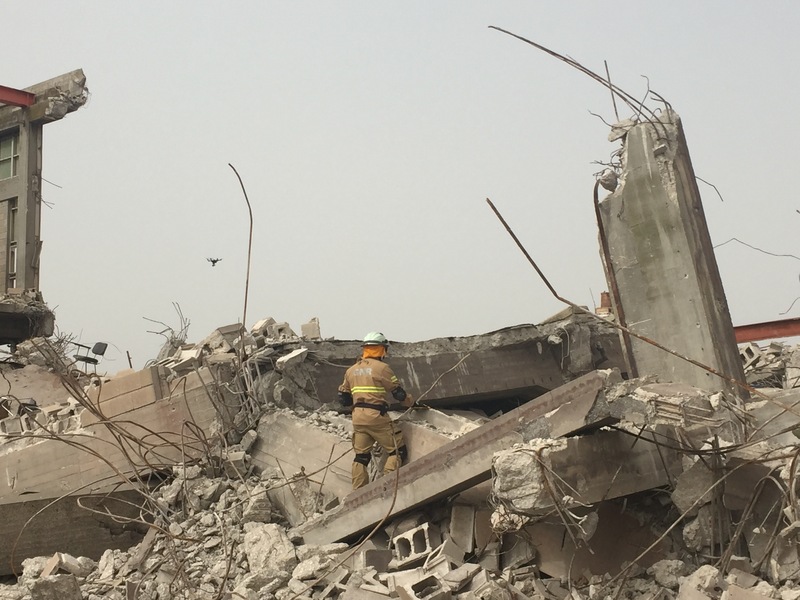 As recently stated by Italian Prime Minister Paolo Gentiloni and Interior Minister Marco Minniti, counter-terrorism efforts must focus on prisons, as they provide fertile ground for the propagation of extremist ideologies and thus constitute a dangerous hotbed for security threats. 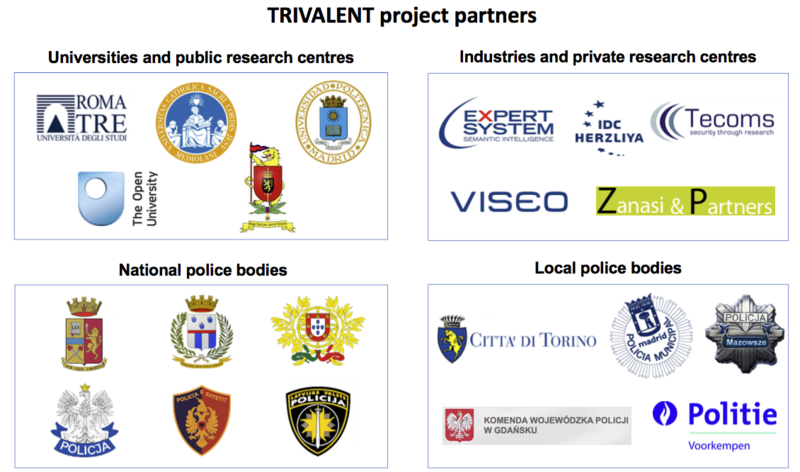 The research project TRIVALENT (Terrorism pReventIon Via rAdicaLisation countEr-NarraTive), funded by the European Commission under the Horizon 2020’s ‘Secure societies’ research programme, aims to identify, also by means of big data analytics and text mining techniques, the distinguishing features of radicalisation processes taking place in European countries. Particular attention will be devoted, during the project, to the analysis of radicalising narratives and their diffusion methods as a step towards the elaboration of different types of counter-measures, including the production of dedicated counter-narratives. The project, which will last for 36 months and will rely on a budget of more than € 2.5 millions, will be coordinated by Università degli Studi Roma Tre and will see the participation of 20 public/private European entities as well as an Israeli research centre. A large number of law-enforcement agencies will take part in the project, distributed between national (Italian, Albanian, Polish and Latvian) and local (Turin, Madrid, Danzig, Voorkempen and Radom) bodies. The presence of law-enforcement agencies, including penitentiary police bodies, will allow the researchers to investigate radicalisation processes occurring within European prisons. 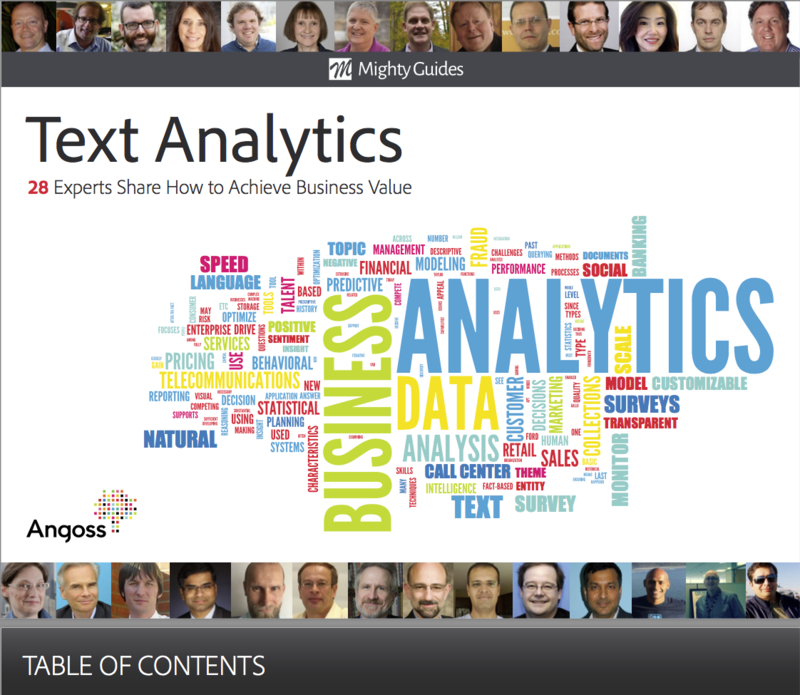 This will help project partners gain a better understanding of the phenomenon and develop more effective tools for countering it compared to those available today. Zanasi & Partners (Z&P) is a research, advisory and training company specialised in security and intelligence. Z&P has participated in several international projects funded by the European Commission, aiming to define solutions to hot security issues: terrorism and surveillance, cyber-security, cyber-intelligence, big data analytics (data/text mining), social media monitoring, risk and threat assessment, border control. Active in Europe, Middle-East and North Africa, its main clients include: European Space Agency (ESA), Italian Aerospace Research Centre (CIRA), European Union Agency for Network and Information Security (ENISA), European Border and Coast Guard Agency (FRONTEX), Siemens AG, Gruppo Editoriale L’Espresso, Booz&Co, Eurispes, ICSA Foundation, DigitPA, Ministry of Economy and Finance and Ministry of Economic Development of Italy, Ministry of Interior of Saudi Arabia, Ministry of Transport of Algeria, Ministry of Justice of Romania. 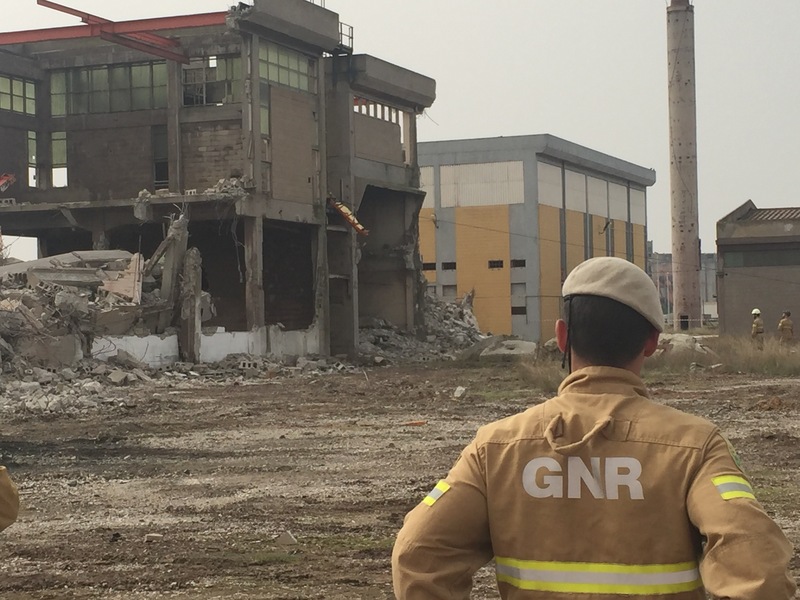 Modena (MO), 16 gennaio 2017 – la Commissione Europea ha ufficialmente approvato il finanziamento del progetto di ricerca in materia di sicurezza TRIVALENT, dedicato al contrasto alla radicalizzazione ed all’estremismo violento. Sempre più spesso le minacce alla sicurezza del continente provengono da singoli individui, residenti sul territorio nazionale, che intraprendono un percorso di radicalizzazione che li conduce fino all’estremismo violento. La tematica risulta quanto mai attuale alla luce di quanto accaduto solo poche settimane fa ai mercatini di Natale di Berlino, con l’autore della strage, Anis Amri, radicalizzatosi durante la sua permanenza nelle carceri italiane e trasformatosi da delinquente di basso livello a sanguinario stragista. Come di recente espresso dal Presidente del Consiglio Paolo Gentiloni e dal Ministro dell’Interno Marco Minniti è proprio sulle carceri che occorre concentrarsi, in quanto luogo particolarmente favorevole al propagarsi di ideologie estremiste e quindi pericoloso focolaio di minacce per la sicurezza. 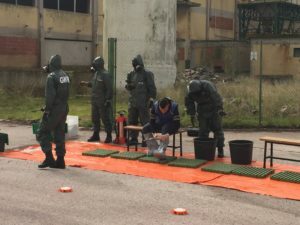 Il progetto TRIVALENT (Terrorism pReventIon Via rAdicaLisation countEr-NarraTive), finanziato dalla Commissione Europea mediante il programma di supporto alla ricerca in materia di sicurezza “Secure Societies” di Horizon 2020, si pone l’obiettivo di individuare, anche attraverso il ricorso a tecniche di big data analytics e text mining, quelli che sono gli elementi caratterizzanti del processo di radicalizzazione nei Paesi europei, con particolare attenzione rivolta alle narrative radicalizzanti ed alle loro modalità di diffusione, per poi elaborare misure di vario genere per contrastarlo, inclusa la produzione di apposite contro-narrative. Il progetto, che avrà una durata di 36 mesi e potrà contare su un budget di oltre 2,5 milioni di euro, sarà coordinato dall’Università degli Studi Roma Tre e vedrà coinvolti complessivamente 20 enti pubblico/privati europei ed un centro di ricerca israeliano. Le forze dell’ordine vi sono rappresentate in gran numero, distribuite tra forze di polizia nazionali (polizia italiana, albanese, polacca e lettone; polizia penitenziaria italiana e portoghese) e locali (Torino, Madrid, Danzica, Voorkempen e Radom). Proprio la presenza di forze di polizia, incluse le polizie penitenziarie, consentirà ai ricercatori di investigare i processi di radicalizzazione che avvengono all’interno delle carceri europee al fine di migliorarne la comprensione e sviluppare strumenti di contrasto maggiormente efficaci rispetto a quelli oggi disponibili. 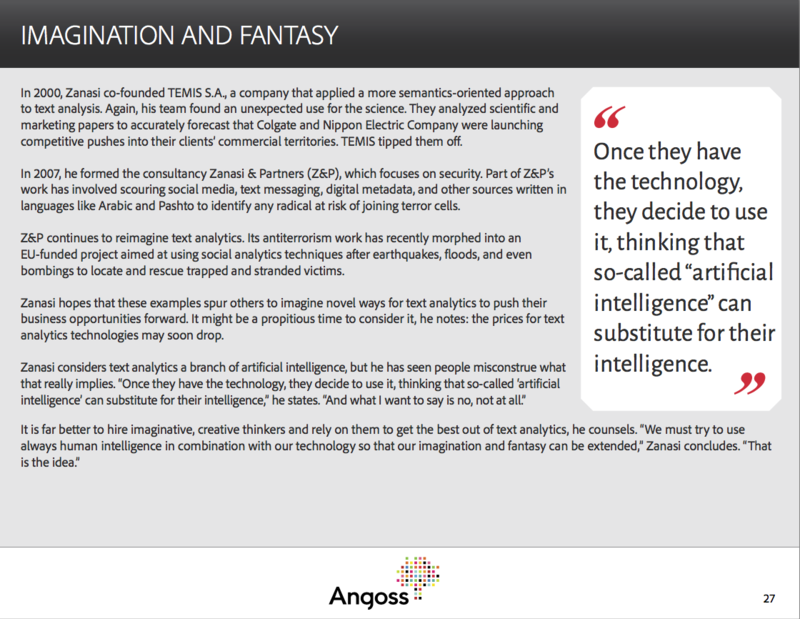 Zanasi & Partners (Z&P) è una società di ricerca, consulenza e formazione in materia di sicurezza ed intelligence. Ha partecipato a decine di progetti internazionali finanziati dalla Commissione Europea, diretti a definire soluzioni ai temi caldi della sicurezza: terrorismo e sorveglianza, cyber-security, cyber-intelligence, Big Data analytics (data/text mining), social media monitoring, risk e threat assessment, border control. Attiva in Europa, Medio Oriente e Nord Africa, tra i clienti più importanti: European Space Agency (ESA), Centro Italiano Ricerche Aerospaziali (CIRA), European Union Agency for Network and Information Security (ENISA), European Border and Coast Guard Agency (FRONTEX), Siemens AG, Gruppo Editoriale L’Espresso, Booz&Co, Eurispes, Fondazione ICSA, DigitPA, Ministero dell’Economia e delle Finanze e Ministero dello Sviluppo Economico italiani, Ministero dell’Interno saudita, Ministero dei Trasporti algerino, Ministero della Giustizia rumeno, Ufficio Federale per le Soluzioni Tecniche del governo belga. Modena (MO), Italy, 4 November 2016 – Zanasi & Partners is proud to announce that, as of today, it has become a full member of the European Cyber Security Organisation (ECSO). ‘Cyber threats constitute one of the most serious issues Europe is facing today’ – said Alessandro ZANASI, President of Zanasi & Partners, who also reminded – ‘our economy is heavily dependent on interconnected computer networks: communications, financial transactions, monitoring and management of critical infrastructure… everything depends on the correct functioning of those networks’. ‘Cyber espionage, as demonstrated by the discovery of the ECHELON system earlier and by Snowden’s revelations later, is common practice which costs targeted companies billions of dollars. Worldwide, according to a recent study by Forbes, the costs due to cybercrime activities are expected to reach $2 trillion by 2019’ Zanasi claimed. ‘Joining ECSO represents a great opportunity for us’ – concluded Zanasi – ‘as it will give a further boost to our already active involvement in the European cybersecurity scene. It will allow us to create new synergies with the leading cyber security European organisations and this, in turn, will translate into new opportunities for jointly undertaking research activities and developing state-of-the-art services that we will be able to provide to our clients’. 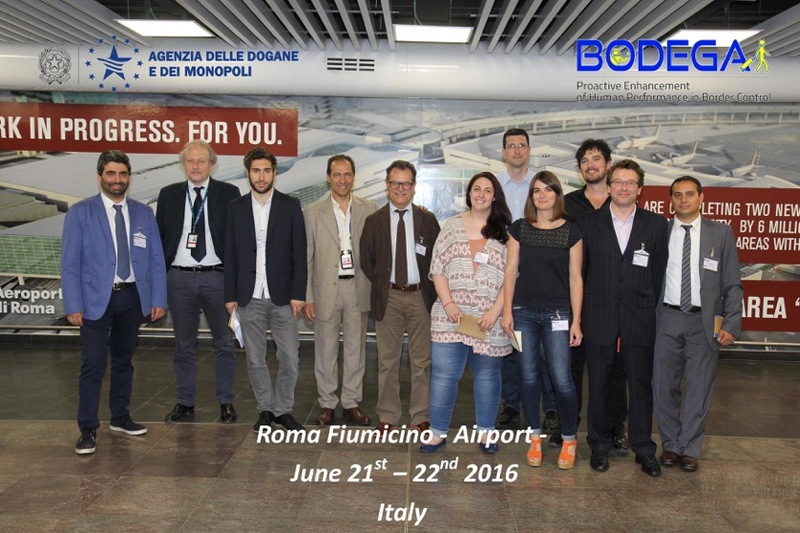 On the 21st and 22nd of June 2016, Zanasi & Partners took part in a field study carried out at Rome Fiumicino airport within the context of the BODEGA project. BODEGA (Proactive Enhancement of Human Performance in Border Control) is a three-year research effort funded by the European Commission under the Horizon 2020 programme. Its aim is to investigate the psychological factors affecting human behaviour of both travellers and border control operators during control operations at the frontiers. 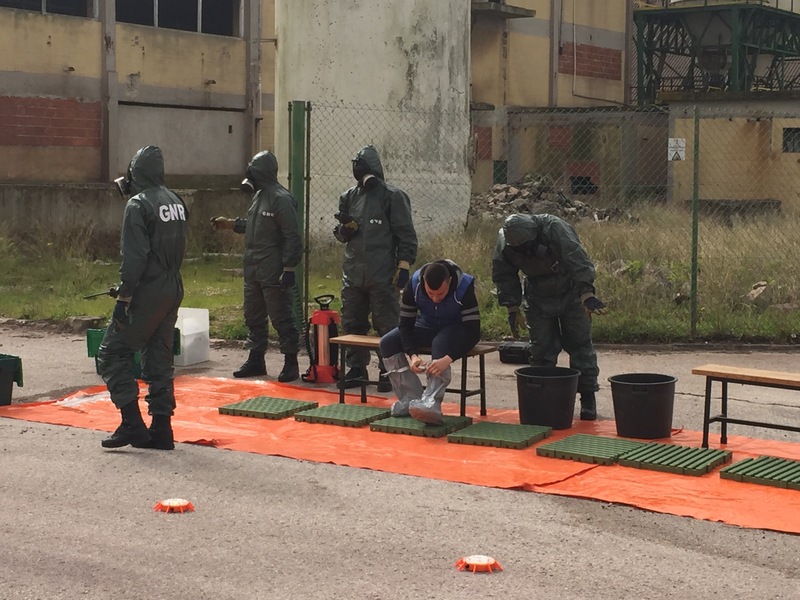 The two-day event at Fiumicino airport was organised by Agenzia delle Dogane e dei Monopoli and saw Z&P working together with researchers from Thales (France) and the University of Namur (Belgium) as well as with representatives of Polizia di Frontiera. The research team visited the airport’s customs and border control area and conducted several interviews with custom officers and border control personnel. Special attention was devoted by the researchers to the functioning of the Automated Border Control and video-surveillance systems in place at the airport. The field study represented a valuable opportunity for the BODEGA consortium to gather first-hand information about the customs and border control activities carried out at one of the largest airports in Europe. 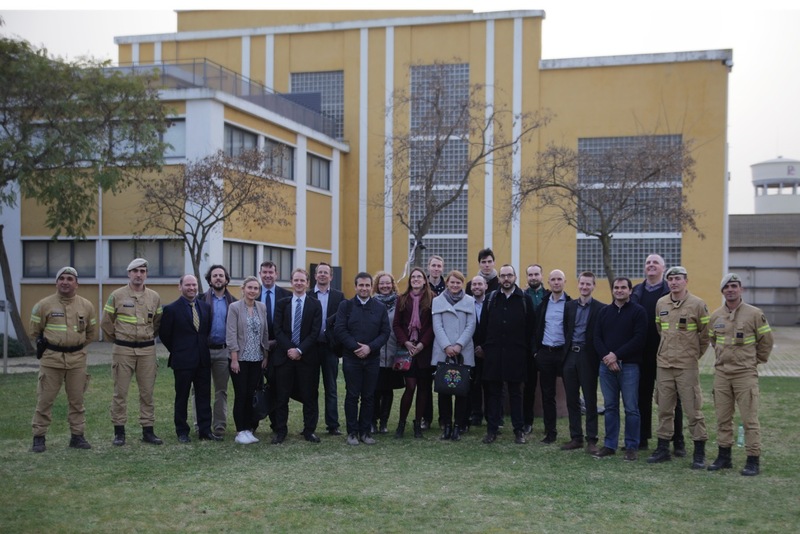 Furthermore, it allowed the research team to gain a better understanding of the role played by two key stakeholders in the European border management process: Agenzia delle Dogane e dei Monopoli and Polizia di Frontiera.